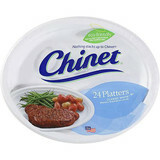 The Chinet brand of products has been made in America since the 1930s. From that point on, we've been busy developing new ways to help you make more moments special. Some would call that heritage. We consider it our ongoing mission. We've enjoyed earning-and holding-your trust and that of countless others over the past seven-plus decades. Click For Chinet's Monthly Features! Savings, Recipes, Entertaining Tips & More! Featuring Chinet Cut Crystal cups! 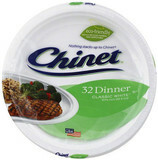 Find in-store savings on your favorite Chinet products at your local Commissary! 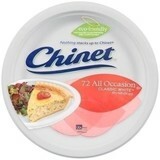 Featuring Chinet Plates, Cups & Cutlery! Prices listed are only available at Commissaries. Pricing and products may vary by Commissary or Exchange location.